Whether you join in one of our 12 Group Fitness or Mat Pilates classes each week, come try our free 5km Group Walk on a Wednesday night, sign up for a package of Personal Training sessions, join Althea for BalletRIP on Saturday mornings or try a Park Run – whatever it is, long or short, fast or slow, up or down – just MOVE! Benefit Studio is based in Plumstead in the heart of the Southern Suburbs of Cape Town and is owned and run by Ali Williams. With over a decade of experience in personal training, group fitness, running, Pilates, Sports Massage and Fascial Release techniques, Benefit can help you get on – and stay on! – the right health and fitness track. Our philosophy is that all training should be inclusive and for everyone – no matter what shape, size or background – just a few hours a week will improve your quality of life, relieve your stress, lift your mood, improve your performance (both in your chosen sport and in your daily activities) and do wonders for your confidence! Benefit Studio is a relaxed, inclusive training facility where you can be active with friends and family in a monitored fitness class or private session. We specialize in beginner fitness, enthusiastic participation, running conditioning and Mat Pilates. 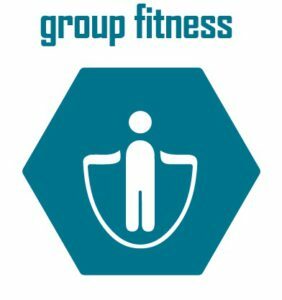 Total body strength, tone and cardio workout – hits every muscle and improves overall fitness – All little bit of everything scaled / modified to suit all fitness levels from beginner to experienced participants. Although it is not possible to ‘spot reduce’ specific areas of the body, you can improve overall tone and appearance by focussing on building lean muscle in those areas: back of the arms “bingo wings”, low belly “pooch”, “love handles”, “saddle bags”, bums and thighs! A combination of Aerobics “Hi-Lo” (high impact and low impact choreographed cardio set to the latest music hits and some old school classics) and a little bit of body toning mixed in. Some sweaty fun to start off the week’s evening classes. Pilates training emphasizes core strength but trains the body as an integrated whole. Workouts promote strength, balanced muscle development, flexibility and increased the range of motion for all joints. Pilates integrates the breath, the body and the mind. 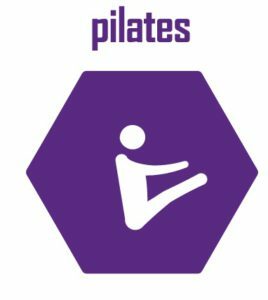 Pilates exercises are suitable all levels and classes may include a little added fun and intensity with the use of small balls, rollers, resistance bands, towels, light weights and other Pilates props. These must be pre-booked in advance. Body Con / Tone & StretchTone up the arms, belly, hips, bums & thighs! 30min Sweaty CircuitQuick and Sweaty total body circuit! AerobicsAerobics and Toning - LADIES ONLY! 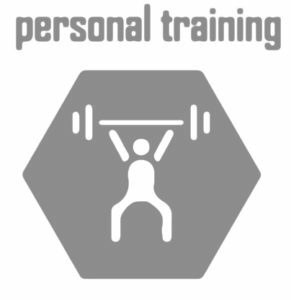 After 13 weeks of training with Ali I have lost 2% of my body fat and 18cms in my measurements – so I can confidently recommend this amazing personal trainer to get results! 21 weeks ago I was still on crutches recovering from knee surgery! Now I’m already running 8kms and increasing weekly! I believe that Ali having her own specialised training facility is the right way forward as she is so knowledgeable and highly trained and specialised – offering Pilates and the full range of services she does. Especially impressive was Ali working with me to rehabilitate my core after abdominal surgery – no mean feat. Her knowledge and patience and how she got me back to full strength again, is the stuff of legends. I highly recommend Ali! I almost never stick with any exercise routines past a month! Ali’s classes keep me coming back – even early in the morning after a late night! Sessions are a lovely mix of hard work, support and laughter. I love that Ali gets me to the point of feeling wobbly but not like death the next day! I would absolutely recommend her guidance to anyone interested in working on improving their strength and fitness, regardless of how fit or strong they are.